The city is overrun with chaos and the mayor knows just what might bring some order. He commissions Mang Andoy (Mr. Andoy) to make some signs to clarify rules of conduct. But how will people react? 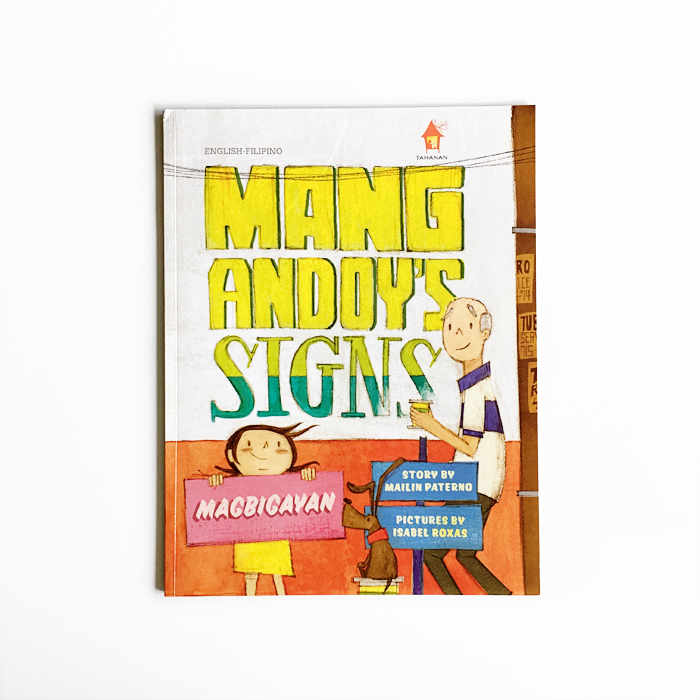 Mang Andoy's Signs is a bilingual book, written in English by Mailin Paterno and translated into Tagalog by Eugene Y. Evasco. Isabel Roxas' thoughtful and whimsical collages are a perfect fit for the bustling scenes of this urban tale. A little about her method — "The artwork for this book was created using watercolor, paper scraps, and digital collage. Bus fare tickets, candy wrappers, and other pieces of vintage ephemera were collected from bus conductors, friends, and generous pack rats." Published by Tahanan Books for Young Readers.